If you run into financial trouble or encounter issues when trying to sell your home, you may want to consider talking to a short sale real estate agent. Real estate companies in Atlanta can sometimes use short sales to help you sell your home if you are in danger of going into foreclosure. There are many circumstances that warrant a short sale. Keep reading if you are interested in your own 101 guide to short sales. A short sale occurs when an individual has a remaining balance on a mortgage but sells the home for a smaller amount. While a short sale can be helpful for many different people and in a wide array of situations, your mortgage company must agree in order for a short sale to be completed. Individuals typically seek short sales when the amount that they owe exceeds the total value of the home. People may also utilize short sales when they realize that they are unable to afford their home or cannot keep up with their mortgage payments. A short sale can help these people relieve their financial strains and find a more suitable living situation. You must qualify for a short sale in order to go through with the process. If you are eligible for a short sale, you will need to work with your real estate agent to determine a sale price for your home. The two of you will also discuss your financial information and any offers that may have come in, and then decide on terms of sale. You and your real estate agent will then finalize the sale of your home with the buyer and his or her real estate agent. Short sales are helpful for individuals who are in a significant amount of debt. This process can reduce that debt and prevent you from having to foreclose your home. A short sale can be an excellent first step in turning your credit around, and it can prepare you to purchase a new home, apartment, or living space sooner. If you do not know much about real estate in Atlanta , the process of buying or selling a home may feel somewhat overwhelming at times. Fortunately, a short sale real estate agent can help you get through the procedure and be satisfied with your results. Watch this video clip for a quick look at the short sale process. 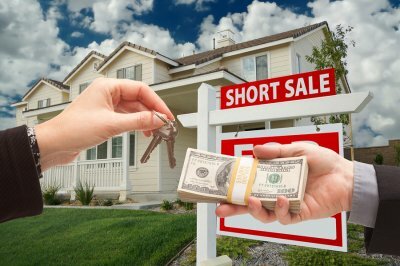 The short sale process can help you to sell your property at its current market value and in a timely fashion, and it can help you even if your debts on the property are not fully paid off. You may work with an individual caseworker, a buyers’ agent, and other real estate professionals that will guide you as you create a short sale package and list your home. Your short sale real estate agent will also help you secure a buyer and a short lender’s approval so that you can finalize the deal. If you are selling your home, you should make it as attractive and appealing as possible! Potential buyers want to see a clean and tidy home that they can picture themselves in. This is easiest when the home is kept clean and free from clutter that can take away from a space. As you will see in this video, it is a good idea to start cleaning and caring for your for-sale home as soon as you list it. You never know when potential buyers might drive by, and a first impression can make or break your sale. Make sure your front yard looks great and use paint to touch up any marks or scrapes on your home’s exterior. Work with your family to clean and de-clutter your home’s interior for potential buyers. A real estate agent can help you figure out what to do to make your home as appealing as possible, leading to the best sales in the shortest amount of time. In difficult times, it can be hard to know the best solution for overcoming financial turmoil. If you are behind on mortgage payments for your Atlanta home or real estate investment, a short sale might be the right option. A property management company in Atlanta can help you decide whether or not this is the best step. Your short sale real estate agent can also guide you through the process of compiling the necessary documents for a short sale package, listing the house, and securing a buyer. There are many reasons that mortgage payments can become unwieldy. Maybe you already tried to refinance or alter your mortgage. Perhaps you owe more than your house is worth. It is also possible that you have tried unsuccessfully to sell your home at a value that would cover your mortgage. If any of these situations sound familiar, a short sale may be your best bet. When someone fails to make payments or defaults on their mortgage, the mortgage company might eventually decide to repossess the property, a process otherwise known as foreclosure. This eventuality can have a serious effect on your credit score, and it may not even prevent you from owing the deficient balance on your mortgage. It is actually beneficial to both the mortgage company and the homeowner to avoid this costly and time-consuming process. A short sale may not seem ideal, but it is often a better option than foreclosure. When you have a short sale realtor from a property management company facilitate a short sale on your behalf, there are some benefits. You will be able to reduce or even eliminate the debt you owe on your mortgage. It is also possible to begin work to improve your credit score more quickly than if you had foreclosed on your property. If you are interested in purchasing a home in the future, this route may help you qualify for a mortgage sooner than if you had gone through with a foreclosure. Selling your home can be a smooth and successful process with the right strategy. This video provides tips on how to sell your home within a short period of time. Talk to your real estate agent about setting a competitive price that will bring in buyers and interest quickly. Make sure your home is clean and in good repair. Reducing interior clutter will help buyers visualize your home as their own. During open house events, let your real estate agent do the work—he will know how to handle interested parties without over- or underselling your home. 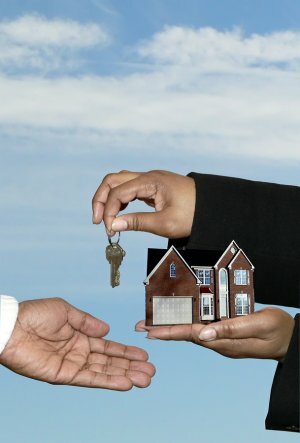 If you need to sell your home quickly, you’ll need the help of an experienced real estate company serving Atlanta . Your real estate agent will help you develop the perfect strategy to attract interested buyers while garnering you the sale price you deserve. A short sale occurs when a homeowner owes more on their loan than a property is worth. In this situation, a short sale real estate agent will talk to the lender to try to get them to accept a lesser amount to close the property. In many cases, banks agree to short sales to avoid the process of foreclosure. These sales can also help banks retain properties without ending up with deferred maintenance. Check out this video to learn more about short sales. If you are in a tricky financial situation, it might be time to short sell your home. Find a real estate agent serving Atlanta so you can figure out the best way to sell your property and start improving your finances. If your adjustable-rate mortgage has suddenly expanded out of your financial reach, a short sale can help you get back on your feet. The real estate agent will work with you to sell your home for less money than you owe on your mortgage and the money from the sale goes directly to the lender. In many cases, the lender will forgive the difference that you owe. If the lender does not forgive the remaining amount, you must pay it. Sometimes homeowners have no choice but to sell their homes. If you have to sell your home but it is currently valued less than the mortgage, a short sale might be your best option to avoid foreclosure. Talk to a real estate agent about your current situation and he or she will help you decide if the short sale option is the right one for you. Whether you lost your job or are facing high medical costs after an accident, if you can no longer afford your monthly mortgage payments, short selling can help you avoid further financial peril. Find a reputable real estate company to help you sell the home before your financial situation gets any worse. When you work with a real estate company in Atlanta when you need to short sell a property, you get a caseworker assigned specifically to your case. You can also work with a buyer’s agent, a closing coordinator, and the billing department to ensure that everything goes smoothly and you can sell the property as quickly as possible. What happens when unexpected circumstances mean that you need to sell your home fast? A short sale could be the answer. With a short sale, you can get out of your home for less than you owe on your mortgage. There are several advantages to this kind of move, but it’s crucial to work with a short sale realtor serving Atlanta so you’re protected in the process. One of the biggest benefits of a short sale is that it helps you get out of debt. If financial difficulties have made paying your mortgage impossible, a short sale will remove that burden from your shoulders. Shore sales also protect you from the stress of foreclosure. With the help of a short sale agent, you can obtain authorization to sell your home for less than the outstanding mortgage amount and move on to a fresh start as soon as possible. If you’re considering this step, talk to a short sale realtor about the process and what to expect so you can determine if this is the right choice for you. Sometimes, when you need to get out of your home quickly, a short sale is the answer. A short sale lets you price your home so that it is very attractive to buyers and may even help preserve your financial future in the process. Short sale agents are the best source of information about how a short sale could help you. These real estate agents can help you evaluate your situation and determine if a short sale is right for your property. 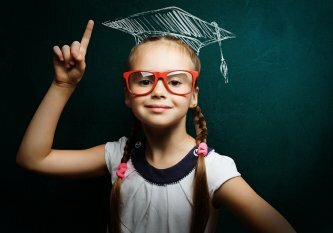 This information will also help you make your decision. If you sell your home for less than you owe on your mortgage, the deal is known as a short sale. Short sales are different from foreclosure sales and sales on REO—real estate owned—properties. With a short sale, you still put your home on the market with the help of a real estate agent, and buyers still make offers as they would during a normal sale. The big difference is that short sale agents have to work to get the approval of the buyer, seller, and mortgage company before the deal is closed. The mortgage company must agree to settle the debt for less than is owed before a short sale can be completed. For buyers, shorts sales are great opportunities to get an excellent deal on a home. For sellers, short sales are a way to get out of debt, avoid foreclosure, and get a fresh financial start. If your mortgage company agrees to accept a short sale, you won’t have to pay the remaining balance on your mortgage, and you won’t have a foreclosure on your credit. 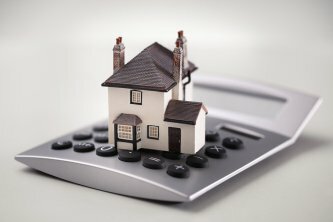 Although a short sale will negatively impact your credit score, some lenders are willing to report short sale accounts as “paid in full” instead of “settled,” which will minimize your score damage. 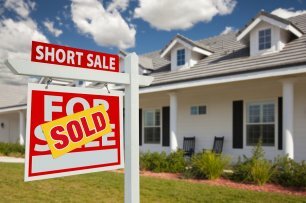 If you are interested in a short sale, start by contacting a short sale real estate agent near Atlanta. Your short sale realtor will help you put together a package to pitch your short sale to your mortgage company. Next, your agent will help you find a buyer, get final approval from your lender, and close the deal. It can be tough to make ends meet, especially in today’s difficult economic climate. If you have fallen behind on your mortgage payments or are facing foreclosure, a short sale could benefit you in a number of ways. A short sale helps you avoid foreclosure and the accompanying headaches, and may allow you to have an easier move into more affordable housing. If you are considering a short sale, you’ll need a real estate agent with experience on your side. Short sales can be complicated, so it’s best to find a real estate agency with a proven track record to match your sale to a qualified buyer. In this infographic from the Atlanta short sale agents at Realty 1 st , you’ll learn what steps are involved in the short sale process, from putting together a short sale package to closing the deal. Please share this useful real estate info with your friends and family!